Linaro, a collaborative engineering organization consolidating and optimizing open source software and tools for the ARM architecture, is bringing together industry and the open source community to work on key projects, reduce industry wide fragmentation, and provide common software foundations for all. 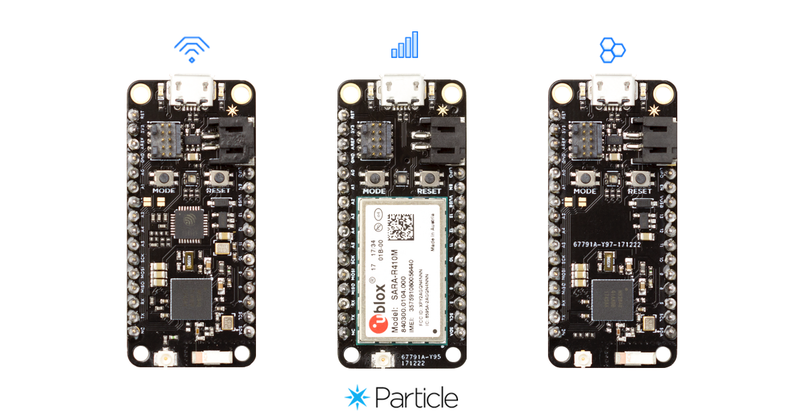 During the last Linaro Connect event at Las Vegas, a new BLE (Bluetooth Low Energy) product had been debuted! The BLE Carbon is joint efforts by Linaro, 96Boards, and Seeedstudio, aims to provide economic and compact BLE solutions for IoT projects.Carbon is the first board to be certified 96Boards IoT Edition compatible that targets the Internet of Things (IoT) and Embedded segments. 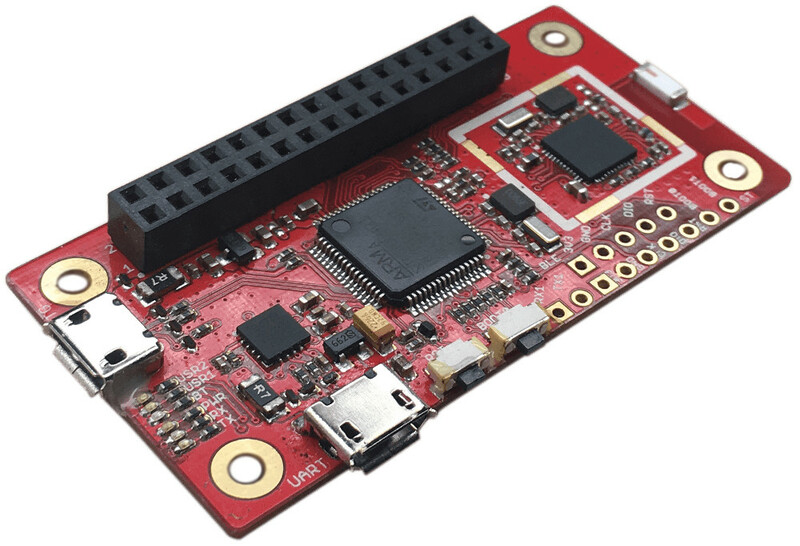 While 96Boards, the open hardware standardization group, has an IoT Edition (IE) specification for low-cost ARM Cortex-A and Cortex-M development boards, it also has another two: the Consumer Edition (CE), the Enterprise Edition (EE). Although Linaro and 96Boards named this board “Carbon”, Seeedstudio choose “BLE Carbon” which may reveal some future plans to produce other editions with the same technology. 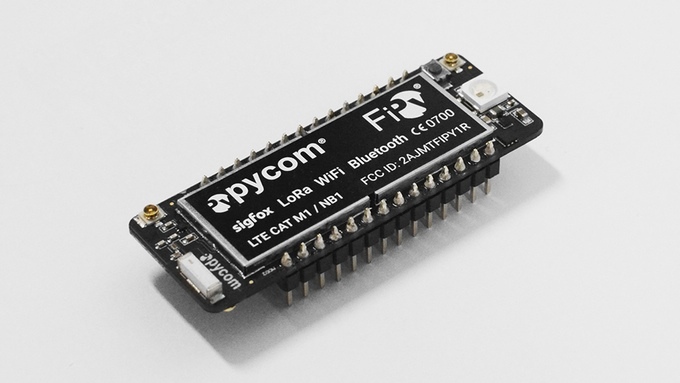 Carbon has a Cortex-M4 chip, 512KB onboard flash, built in Bluetooth, and a 30-pin low speed expansion header capable of up to 3.3V digital and analog GPIO. 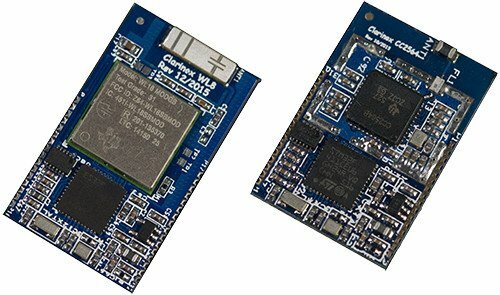 Moreover, Carbon is the first SBC (Single Board Computer) to run the Linux Foundation’s Intel-backed Zephyr OS which is an open source, small, scalable, real-time OS for use on resource-constrained systems and IoT devices. A technical overview of Zephyr is available in this video. 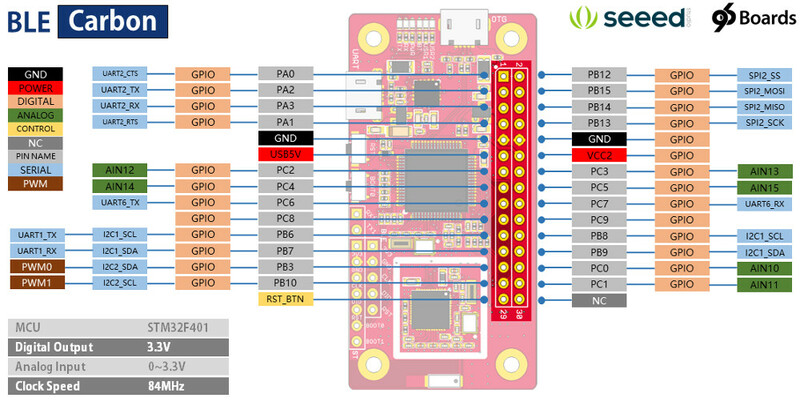 The 60 x 30mm SBC preloaded with Zephyr RTOS runs on ST’s STM32F401 microcontroller. It also features two micro-USB ports, one of which is used for power, and has the required 30-pin low-speed connector. Analog pins and debug connectors are also onboard. In addition to 6x LEDs, reset, and boot buttons. To start the board for the first time just connect the micro-USB cable to supply power to the Carbon. The board will begin to boot Zephyr immediately. You can use either of the micro-USB ports to power the Carbon. Currently, Linux is the only supporting host system for Carbon while Windows and Mac OS support is coming soon. Some Linux host applications are available here. The BLE Carbon SBC can be pre-ordered from SeedStudio for $27.95. More details about Carbon can be reached at BLE Carbon wiki and 96Boards full documentation.